Last edited by rockryno; 03/19/2018 at 11:34 PM. 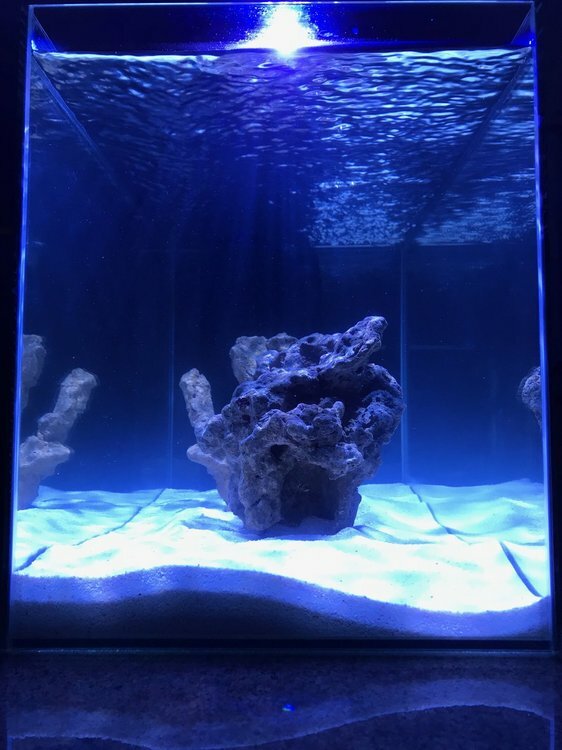 I really like it so far and the surface skimmer was a really good idea! keep us up to date. Find More Posts by kevin j. 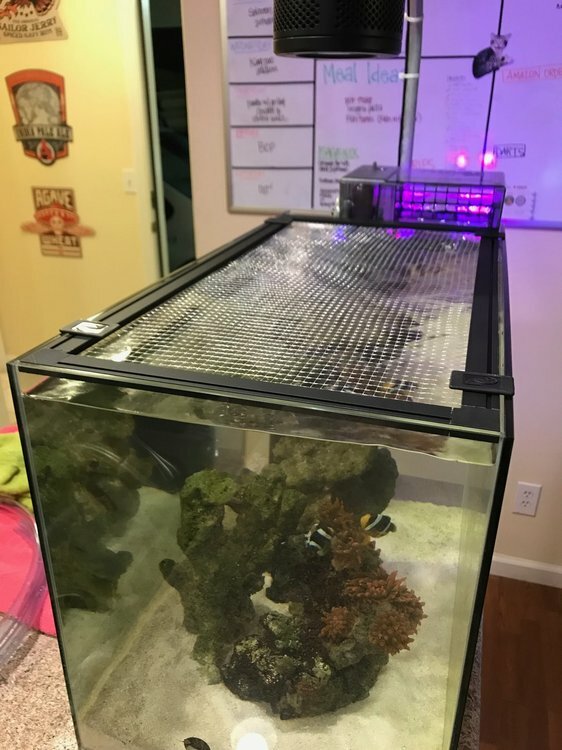 That is a great place for a tank! Looks nice. 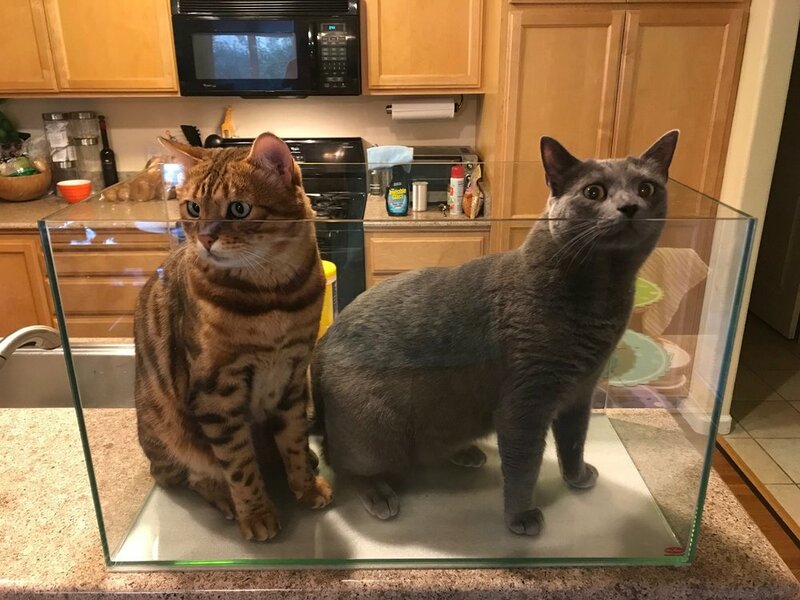 Your orange cat sure has cool markings! Following this one. 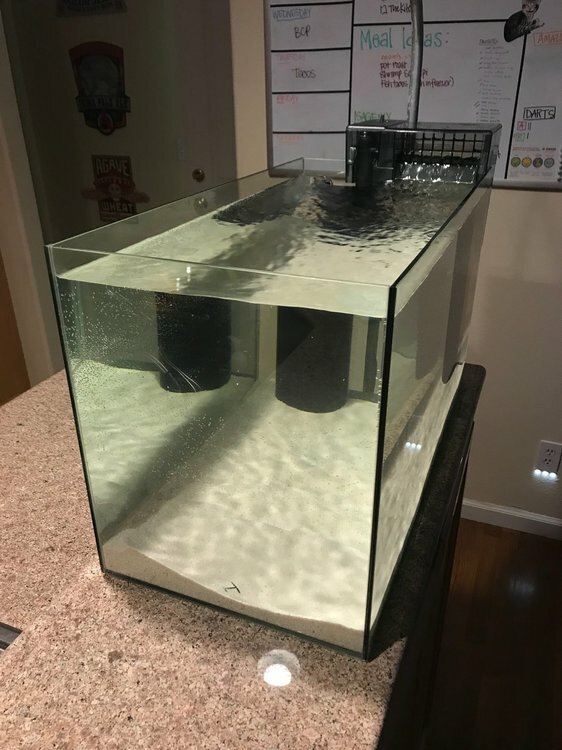 I’m looking at setting up the same tank for my sons room. Thanks guys. 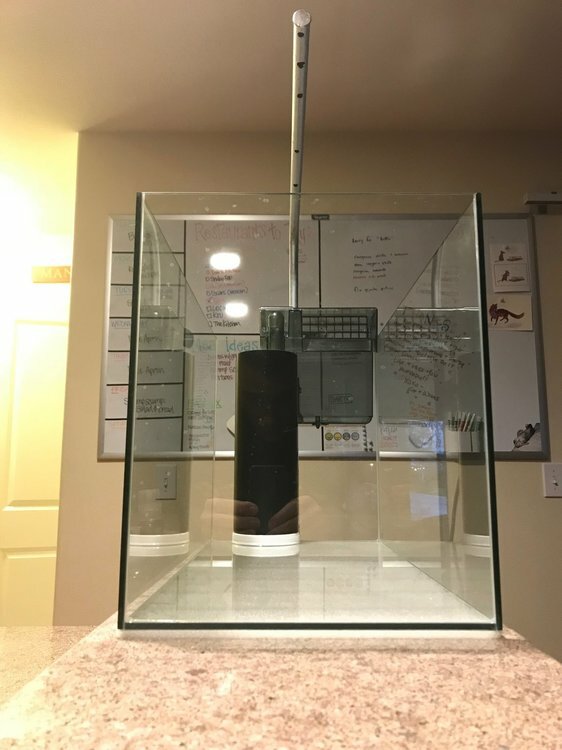 Ive had several nano tanks in the past with this same setup and it works very well. 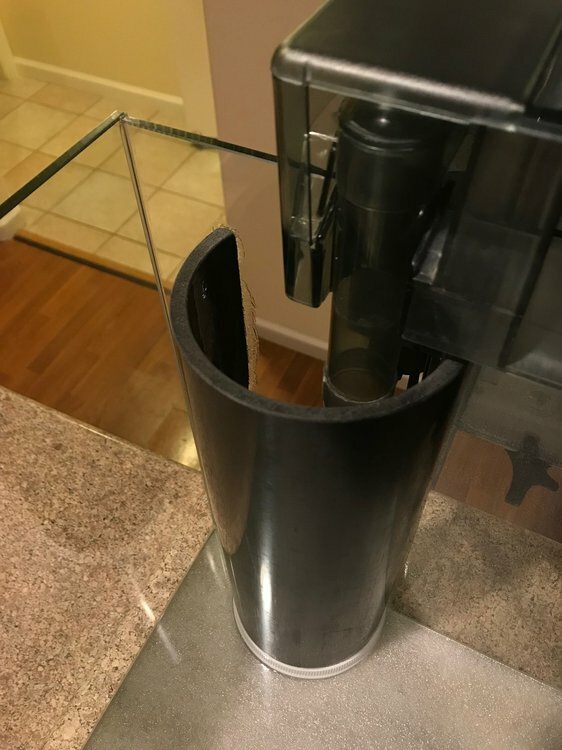 Not only does it provide surface skimming, but allows a nice place to hide the heater and ATO. Looks awesome, I love that overflow idea! 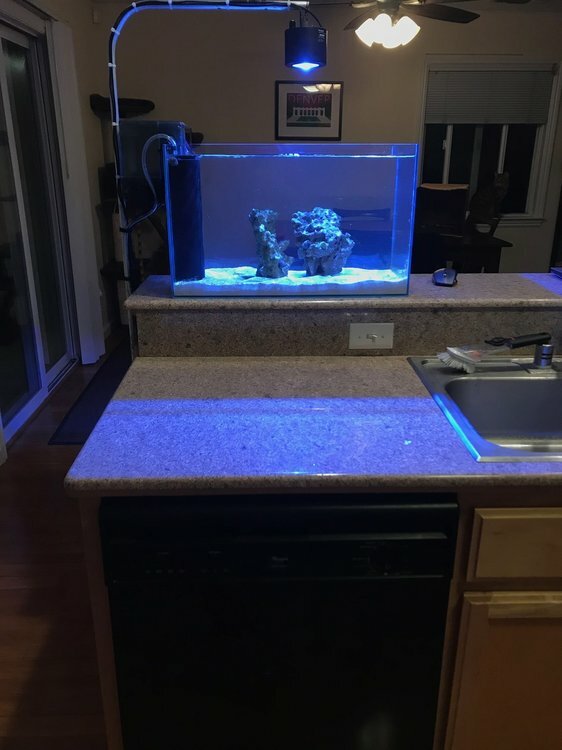 Do you have any pics of your previous tanks? Last edited by rockryno; 01/22/2018 at 11:26 PM. Thanks man. You're guess is right on! 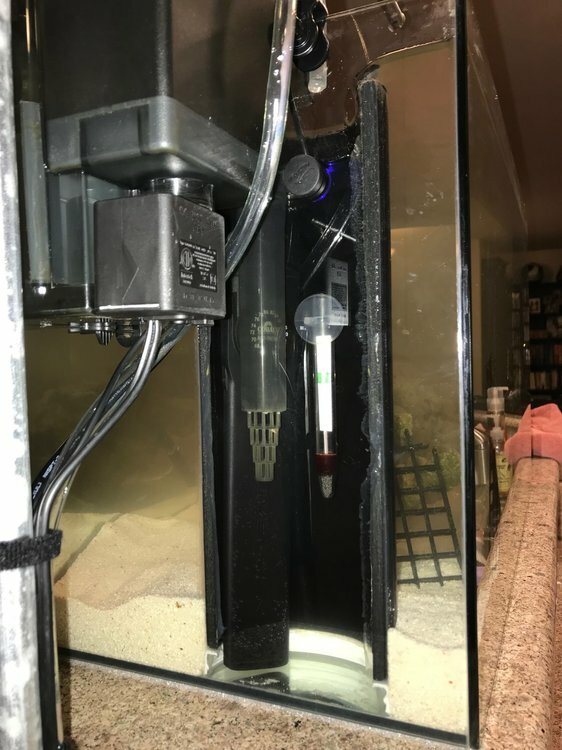 Are you going to go with a skimmer? I have a tunze 9001 in a AC70 and it is working great! Thanks! 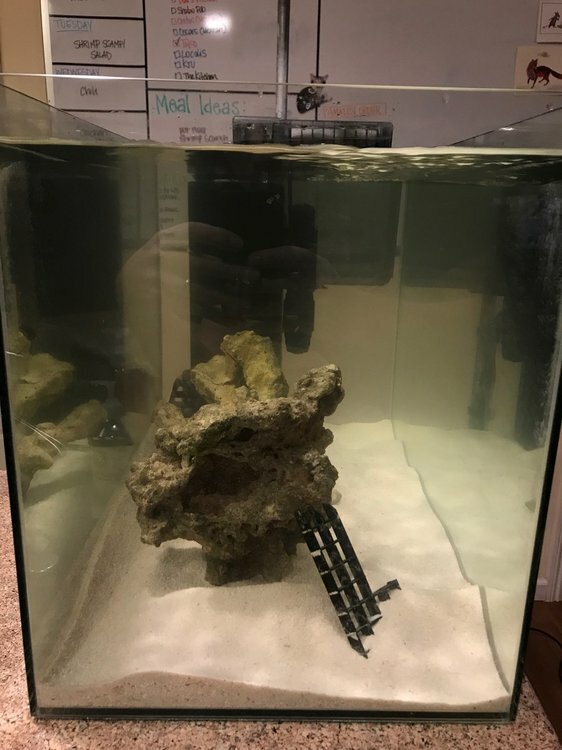 Id like to keep this as simple as possible, so I'll go skimmerless. 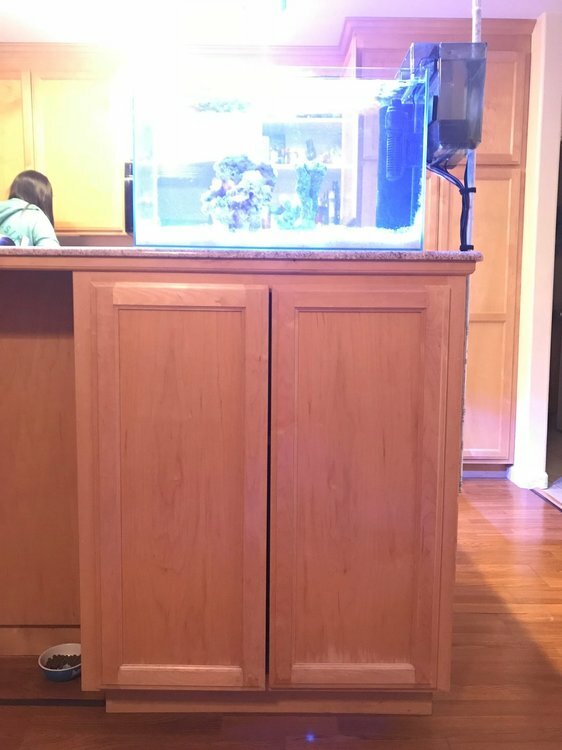 Never found the need for one, even in my other tanks. 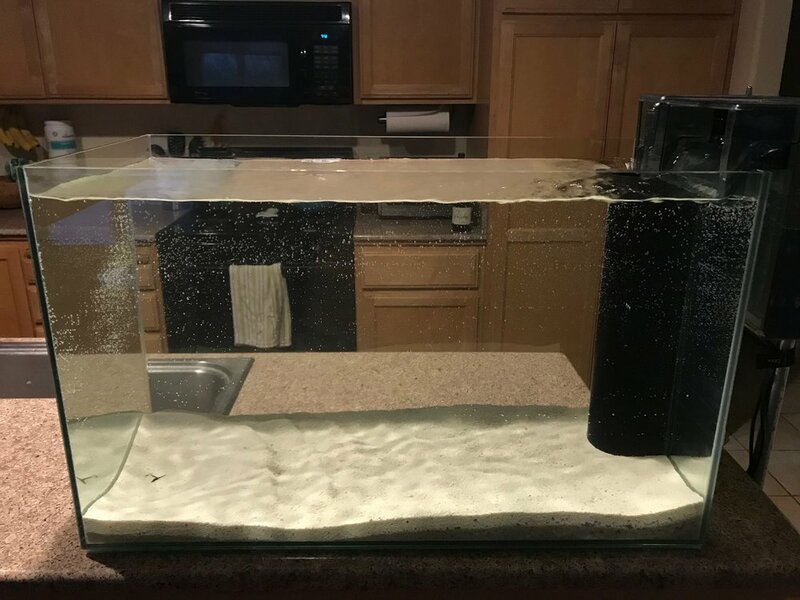 Weekly water changes should do the trick again. 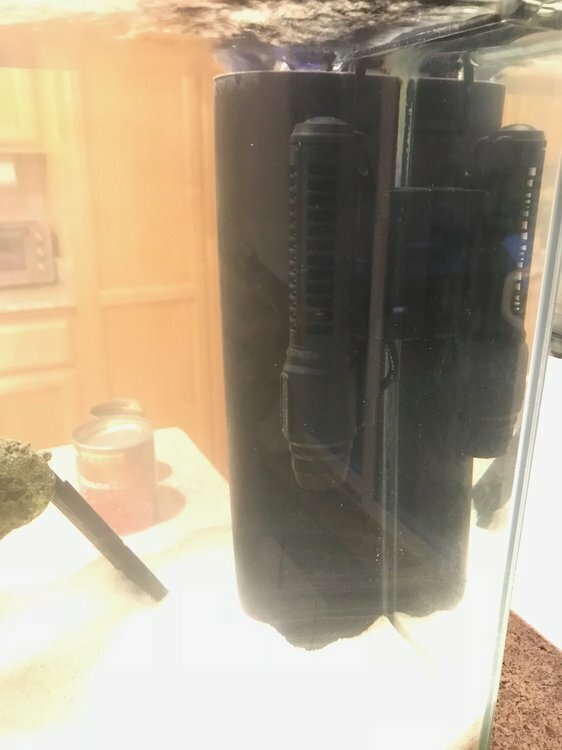 this isn't their first rodeo with an open tank, they know to stay out now. Looking great. I like the half gyre, might have to look into that. 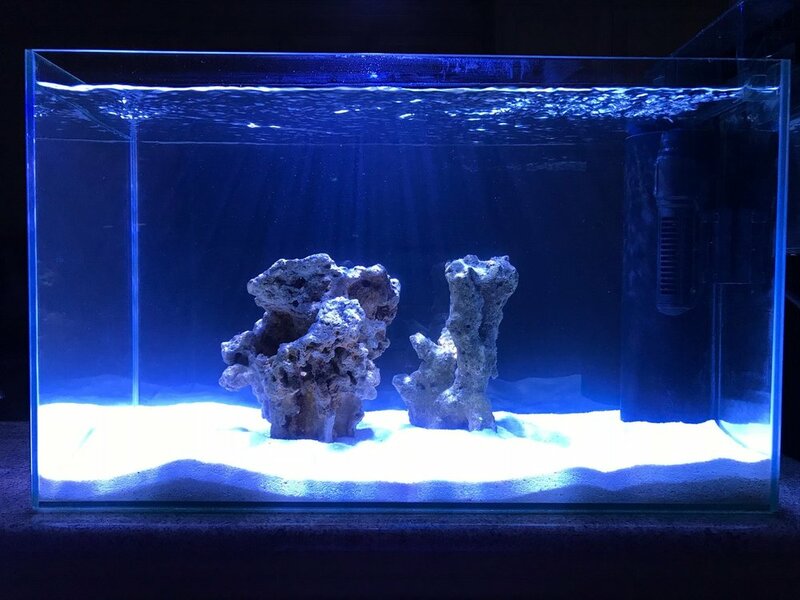 Looking good, I’m currently setting up a Nuvo 14G peninsula also on my kitchen counter similar to yours! 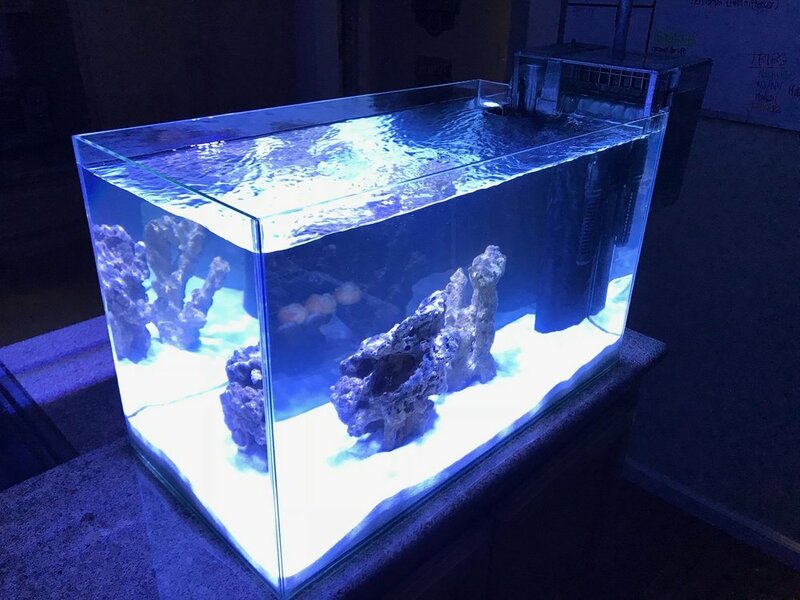 I’ve got a Kessil 160WE for it currently. Awesome! I believe a high visibility area like the kitchen counter demands a certain level of aesthetics, so I'm keeping this as clean and minimalist as possible. Exposed wires and equipment has to be at the minimum. Kessils really help in the small footprint. 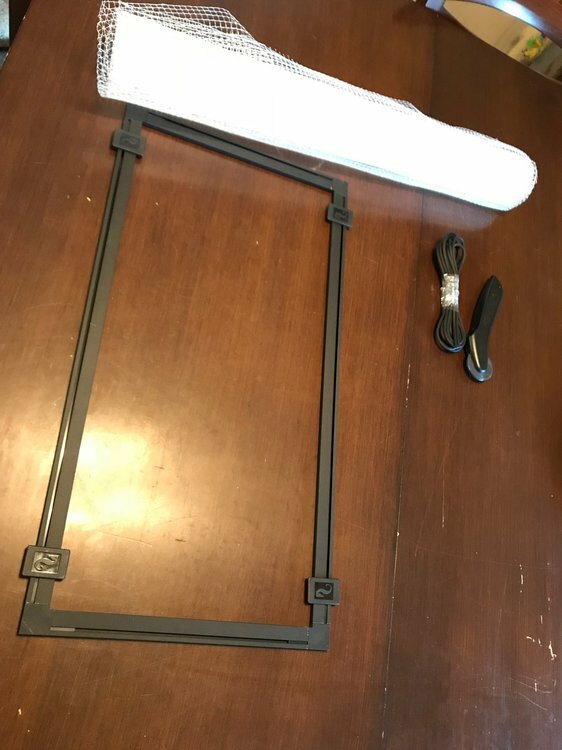 Here are some shots of how everything is supported and the cabinet below. Got pretty lucky with the existing shelving and a power outlet under t here. 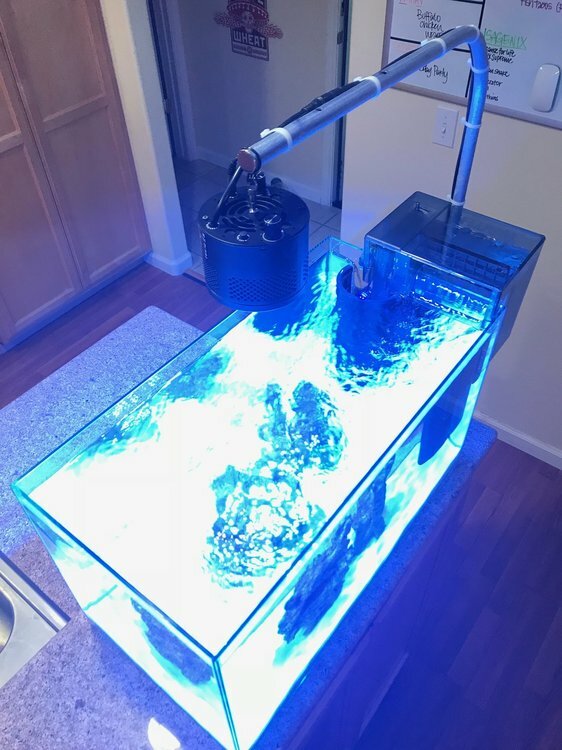 Good spot for the top off water, and a few controllers. Exactly what I was looking for. 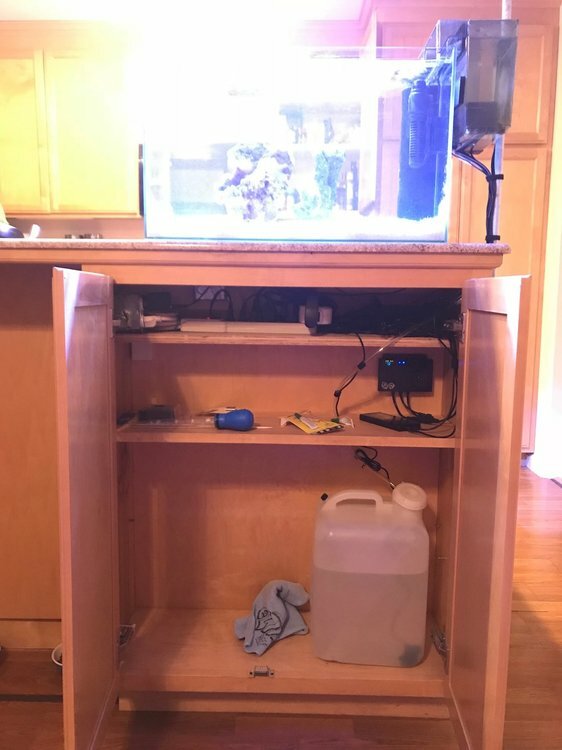 I’ll be building a cabinet under my overhang as well similar to yours. Thanks for the post! I just finished setting up mine. 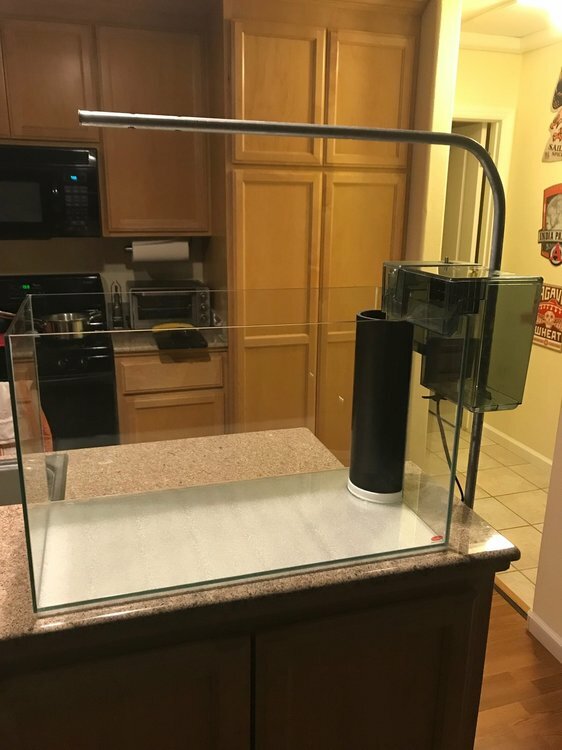 Do you have a tank thread? Good to compare notes and progress. Update - there is life! 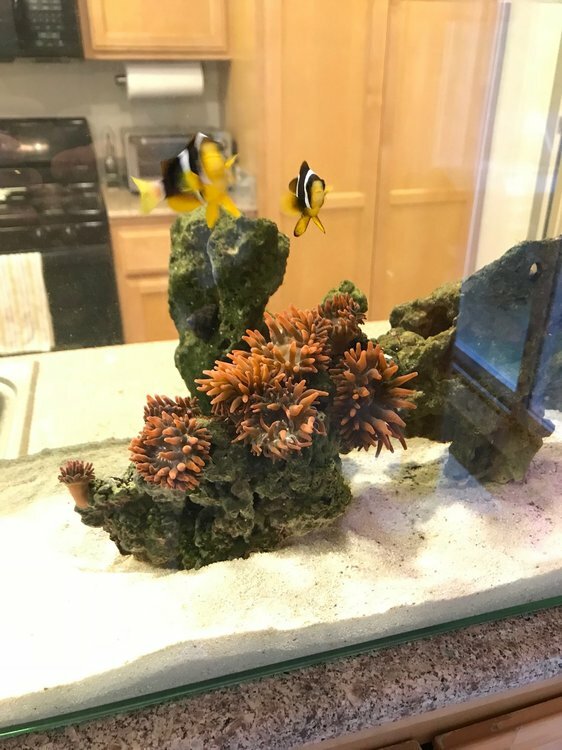 Got a very nice deal from a local member who was downsizing his anemone tank. 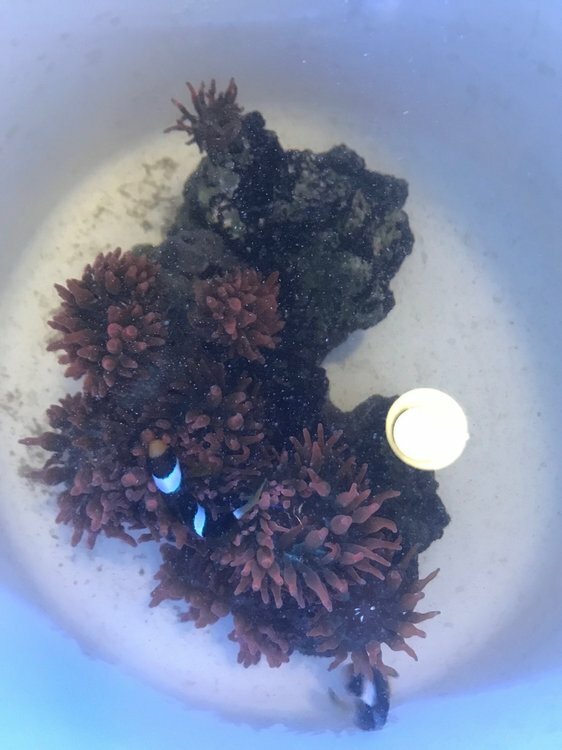 Picked up a rock with 8 RBTAs and a paired, hosting set of Clarkii clowns, all for $180! Also learned my lesson from previous jumpers that a screen top is necessary (although these two rarely venture far from their nems). 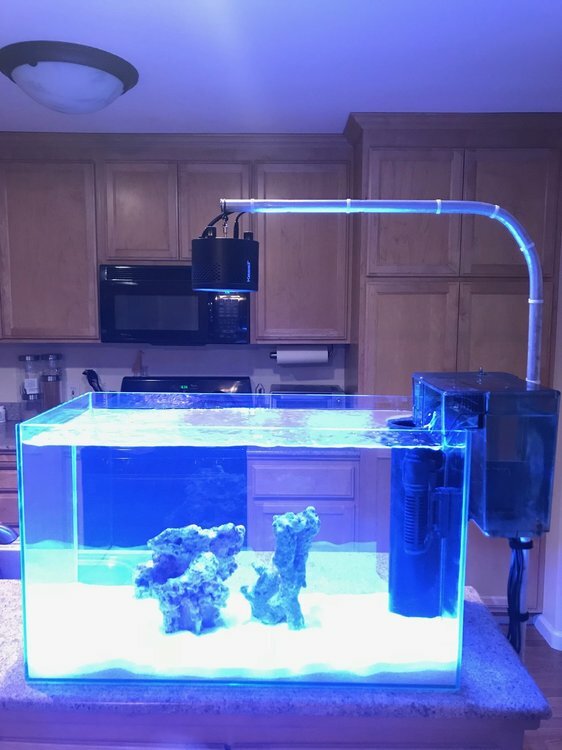 Used the new Res Sea kit and customized it for my dimensions. Very quality!